When to Use an LUT? For some time I have been looking for a simple, inexpensive product that would enhance the user's ability to precisely place a Display 3 PRO that has been mounted to a tripod. The ChromaPure Tripod Extension fits the bill exactly. 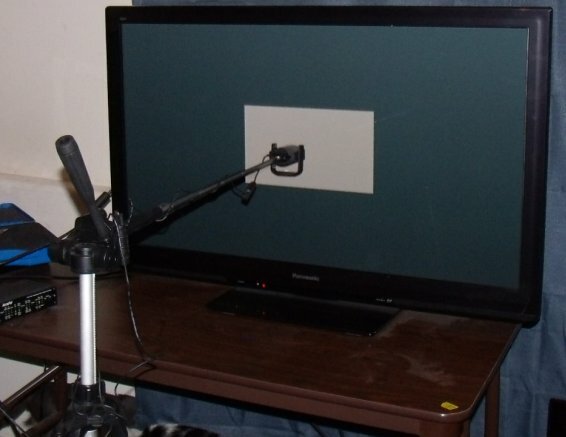 It is very common to have a flat panel installed in a location that is recessed from available floor space, which prevents one from placing a tripod mounted i1D3 at a proper distance from the screen. The ChromaPure Tripod extension makes this very simple. The extension arm is very light weight, yet sturdy and it extends the colorimeter up to 42 inches forward from the base of the tripod. In the example above I am able to place the i1D3 about 6 inches from the screen with great precision in the vertical and horizontal planes. For larger and heavier color analyzers we also offer a heavy duty version of the Tripod Extension. 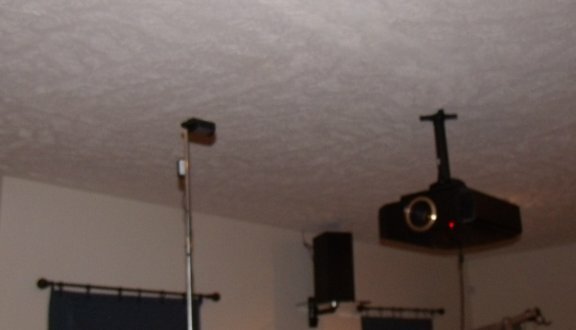 If you have a ceiling mounted front projector you may want to read directly from the lens. This has always been difficult with ceiling mounts because tripods are generally not tall enough to provide the necessary height. The Tripod Extension solves that problem. With the additional three-and-a-half feet of vertical extension at your disposal, even smallish tripods now will work fine for this task. The ChromaPure Tripod Extension is now included as part of any of our Display 3 PRO bundles or sold separately below for $19. Tripod extension with standard female tripod mounting hole on the bottom and a standard male tripod mounting screw on the top. Holds any color analyzer under 1 lbs in weight. Comes in a heavy duty version that offers a maximum load of 2 lbs. This option is useful for professional gear, such as the Klein K-10a or the JETI 1211. Works perfectly with the i1D3 and any other light-weight color analyzer with a standard tripod mounting hole . Heavy duty version supports heavier meters.